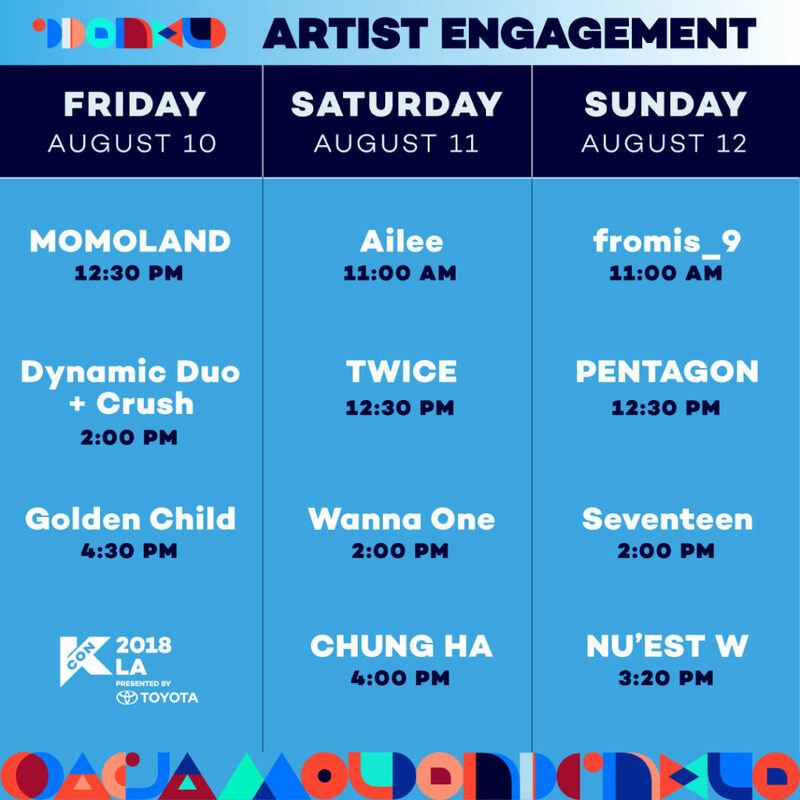 Artist Engagment schedule for KCON18LA has been released! Check out the schedule below for times and participating KCON18LA line-up artists! With an audience voucher, you will be able to see your artists up-close answer questions you’ve submitted on our KCONUSA twitter and play fun games. With a hi-touch voucher, you will be able to do all those mentioned earlier PLUS “hi-touch” the artist! SWEET! You can still purchase artist engagement packs here. See you at KCON18LA!